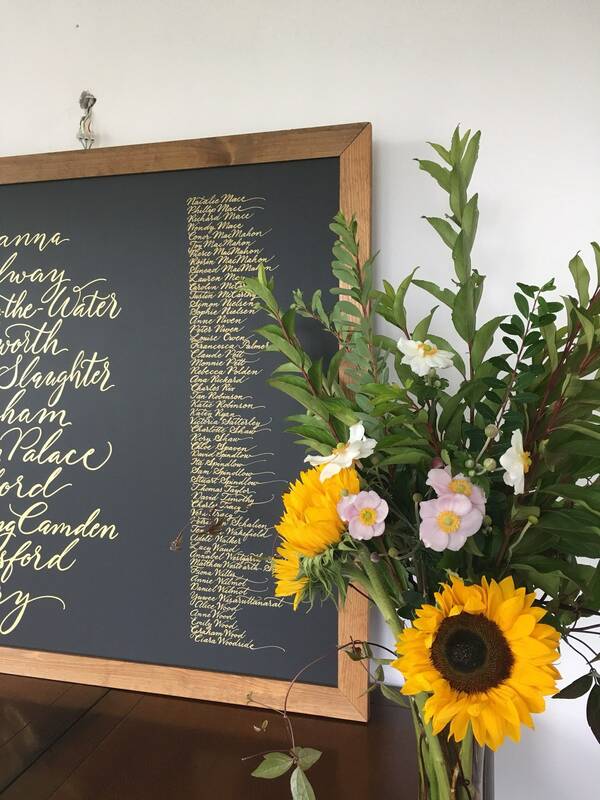 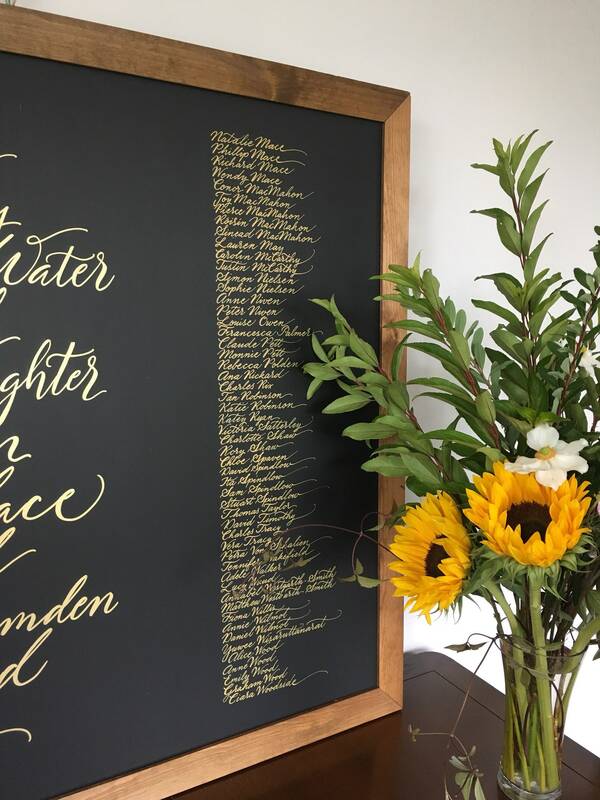 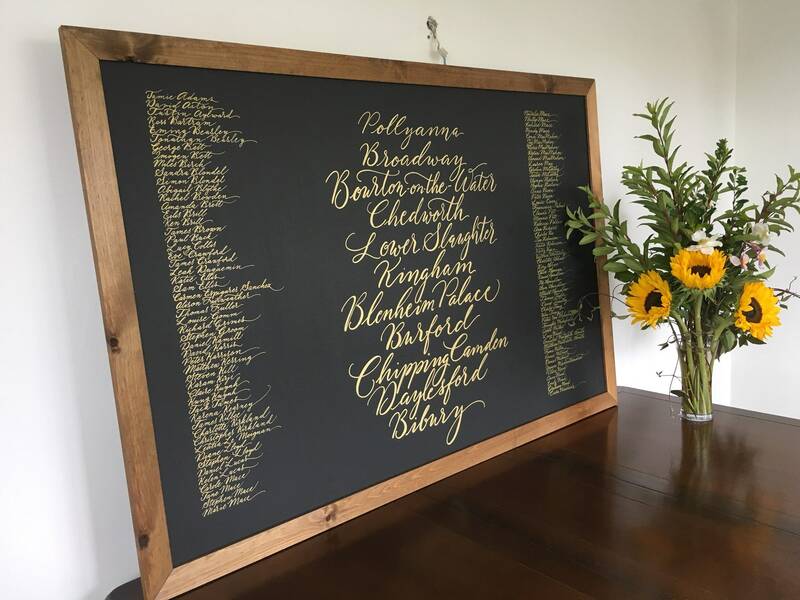 A modern calligraphy wedding table plan in gold ink, handwritten in a modern style - perfect for your boho or festival style wedding! 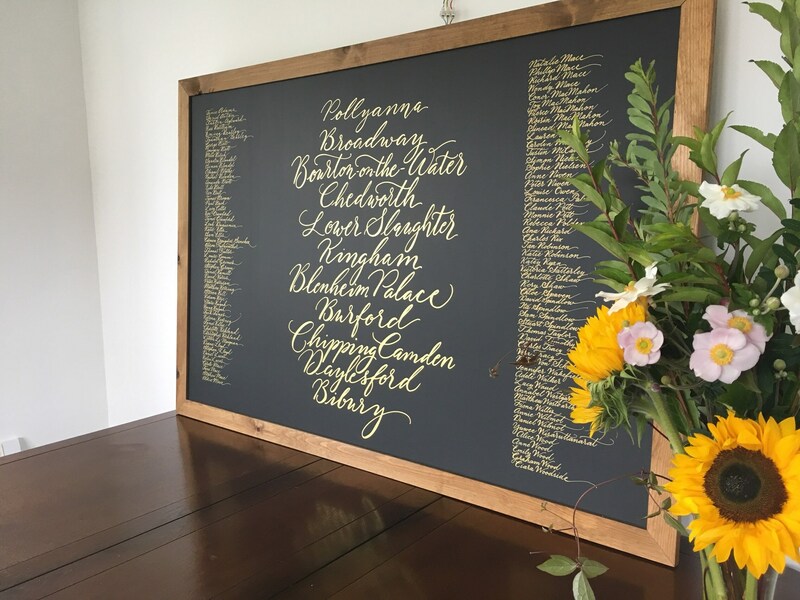 Guide your guests to their seats with this eye-catching chalkboard sign in a choice of sizes. 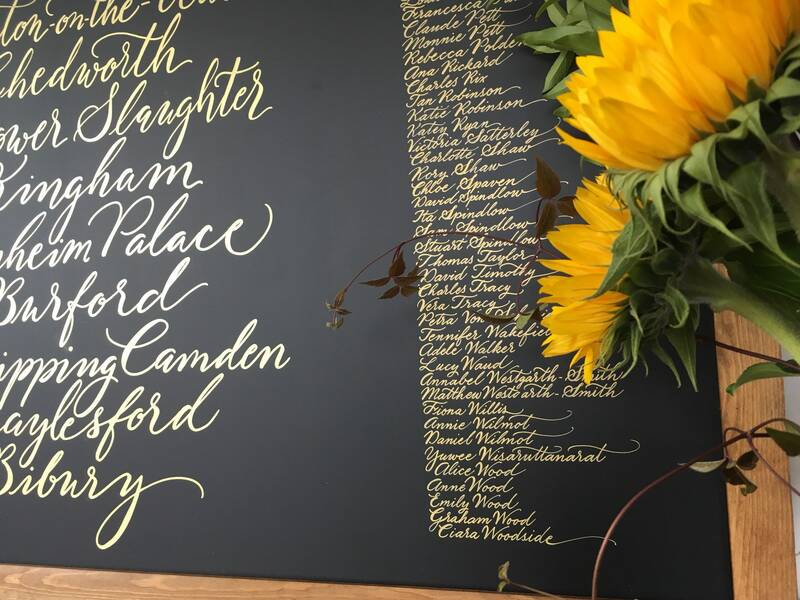 The lettering is written by hand is soft metallic gold ink. 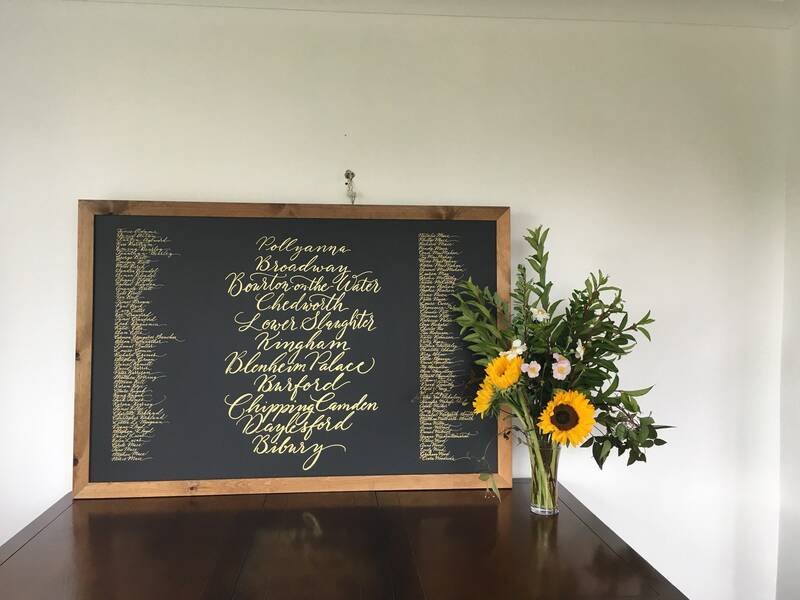 The frame is a dark oak colour. 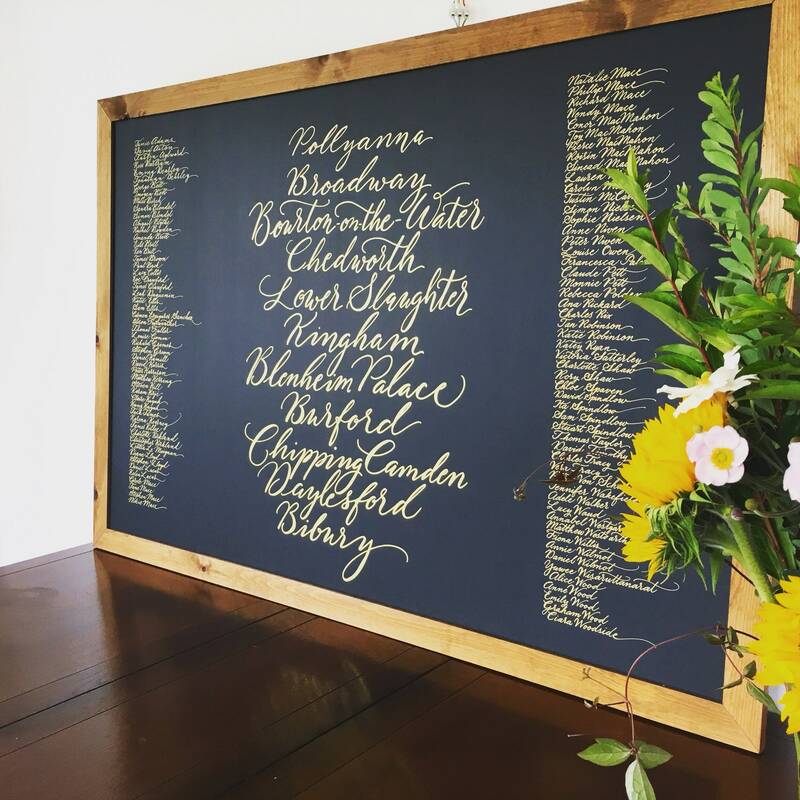 Chalkboards are recommended for indoor use only and are not waterproof! 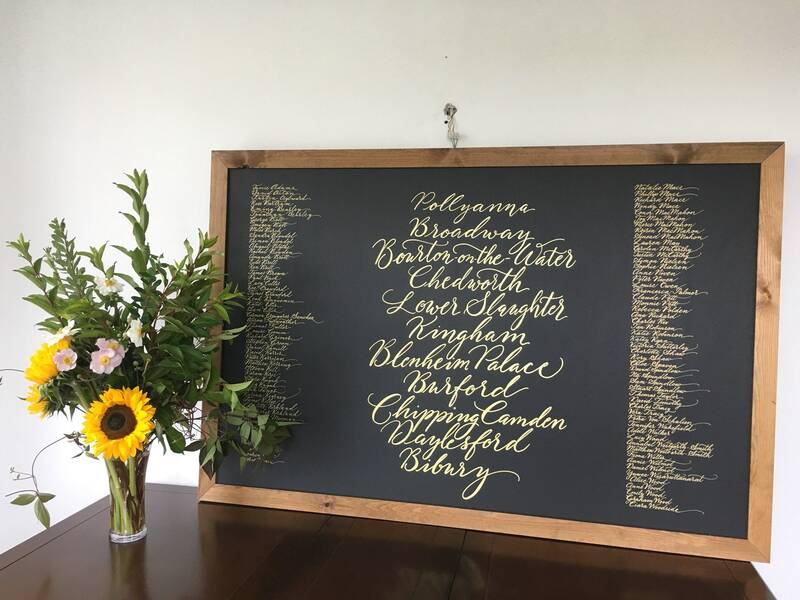 Simply select the size of table plan you need, then send your guest list in the ‘notes to seller’ when you place your order. 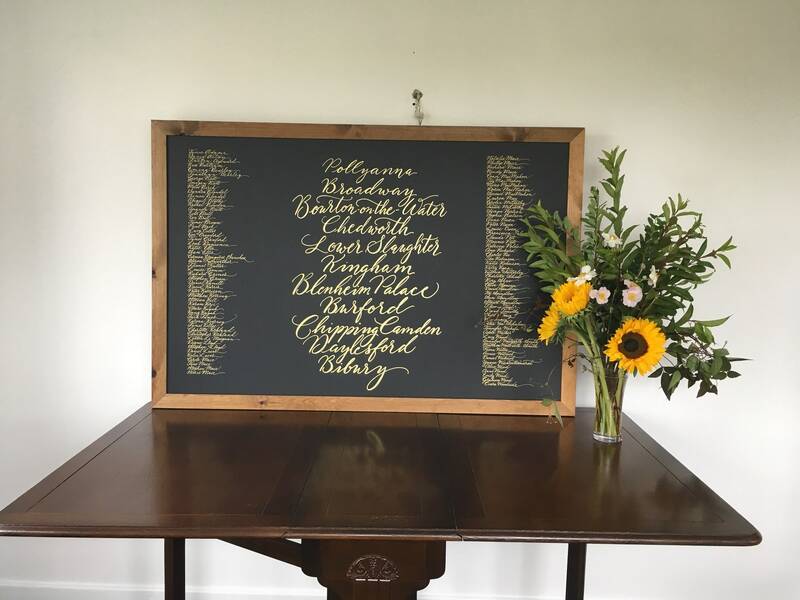 If you have your guest list as a spreadsheet or document, send me a message (“contact seller”) and I’ll explain how to send this.